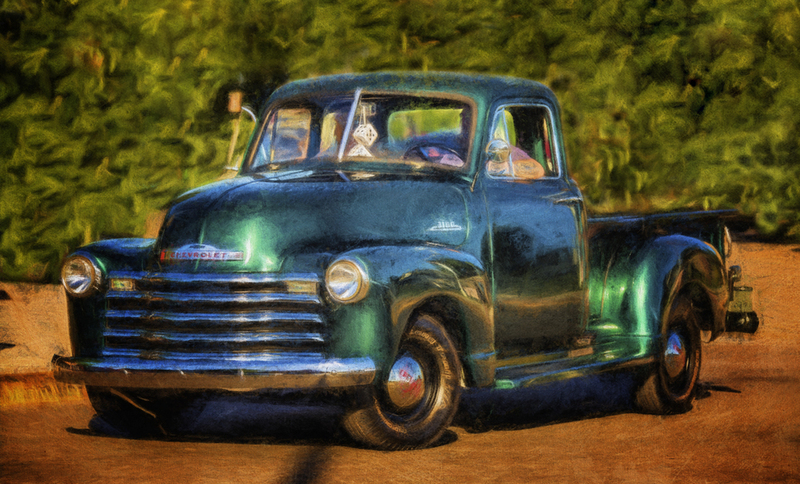 An absolutely beautiful Chevy pick-up turns onto Main St. from E. Jefferson St. An artistic interpretation by Robin Collins. Goshen hosted their annual First Fridays Cruisin' Reunion on Main Street. For those children of the 70's and the 80's, this yearly event is a throwback to their teenage glory days. All the cool cars and bikes come out to do slow bumper-to-bumper passes up and down Main St. in front of onlookers lining the sidewalk for the entire length of downtown.